Performance; Skype, internet, text, colored gaff tape, computer, webcam. 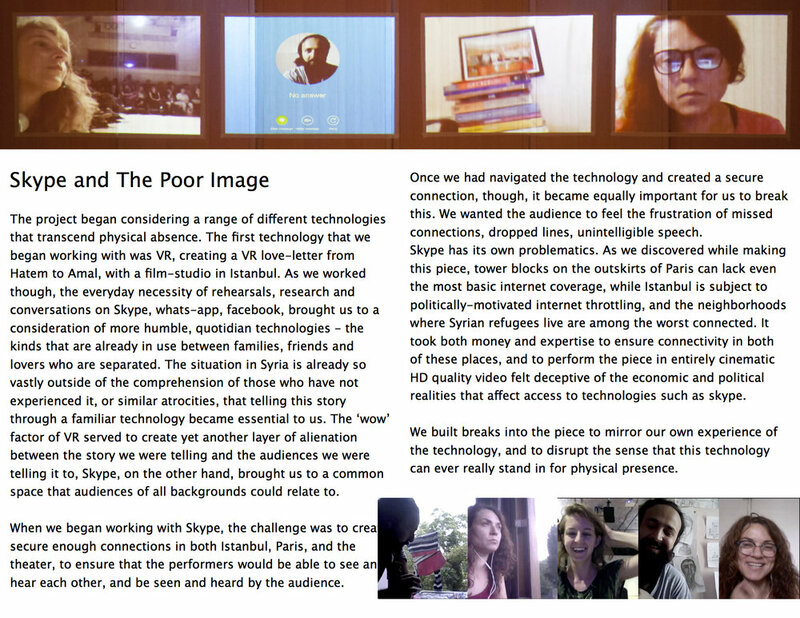 Artists Hatem Hadawe, Amal Omran, Kathryn Hamilton, Onur Karaoglu, Jurjen Alkema and Deniz Buga. Performed London, Arcola Theater, Shubbak Festival (Jul 2017); New York, CUNY, Prelude Festival (Oct 2017); Cologne, Orangerie, Urbang Festival (Oct 2017); Amsterdam, Frascati Theater, Dancing On The Edge Festival (Nov 2017); Marseille, la Friche la Belle de Mai, Les Bancs Publics,Les Rencontres à l'échelle festival (Nov 2017). 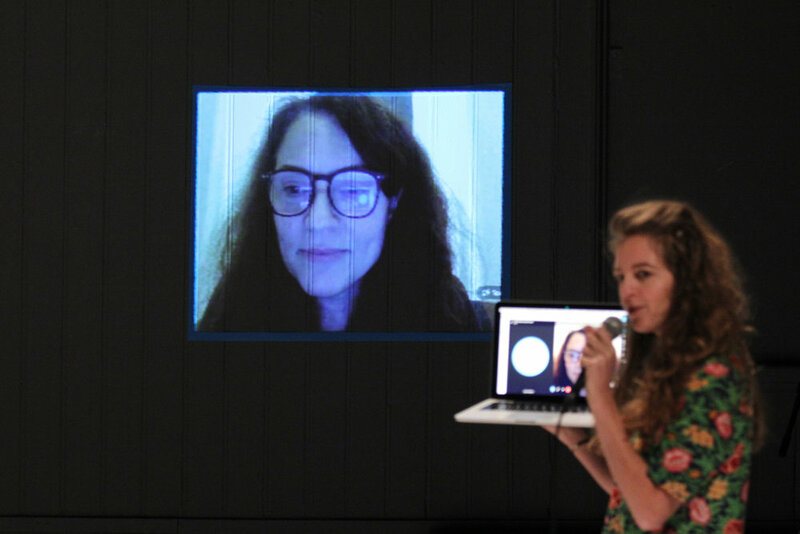 Three Rooms is a live-Skype-film that takes place in three locations simultaneously. 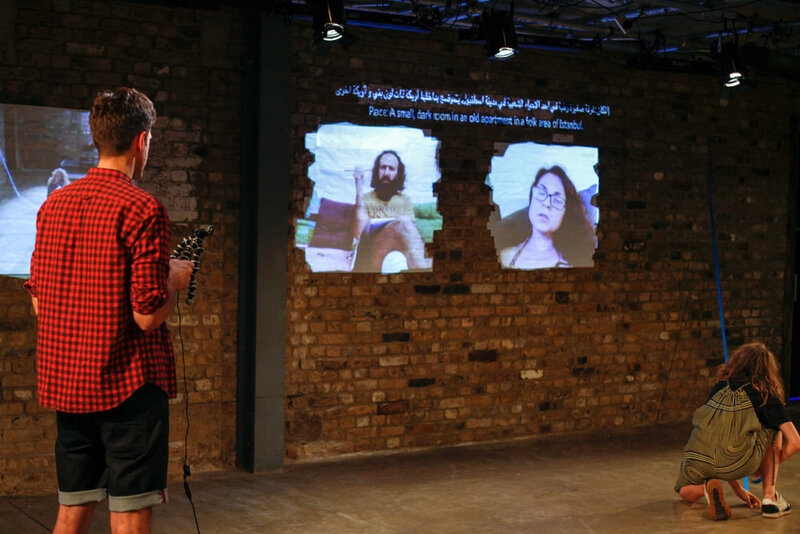 Research and document-based, the piece reconstructs a Skype call between three friends who used to live in Istanbul, but who are now, because of geopolitical circumstances, unable to be within the same national borders at the same time. Originally the trio were planning to stage a play, but the changing political landscape meant that two of the performers couldn’t get visas. Refusing to replace those unable to travel, they began to experiment with ways of working that could overcome the physical restrictions, creating a new kind of live-ness for this new world. 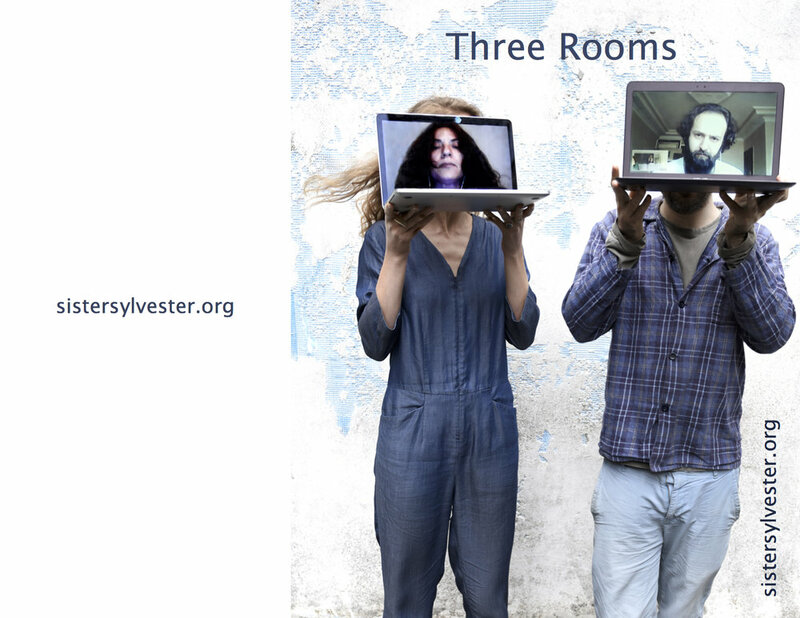 Three Rooms invites the audience into the quiet intimacies of daily life when you are essentially confined to your room – making tea, reading books, smoking cigarettes, drawing or painting while watching the seagulls over Istanbul roof-tops, or watching the grey clouds over the Paris suburbs. It gestures towards the irreplaceability of people, and the impossibility of representing their experience without them. 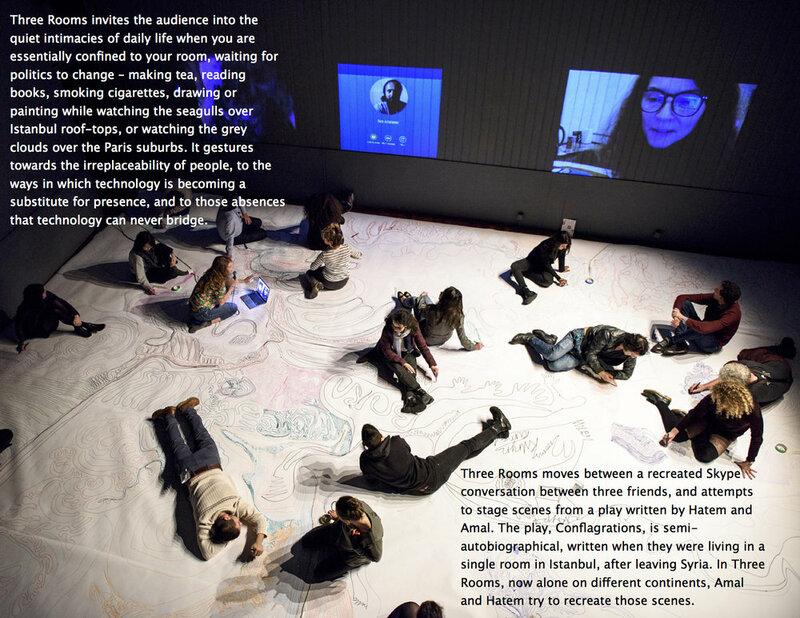 Three Room was created to adapt to the uncertainty of the circumstances that we found ourselves in: with two performers whose ability to travel was severely restricted, and whose futures were out of their own direct control. 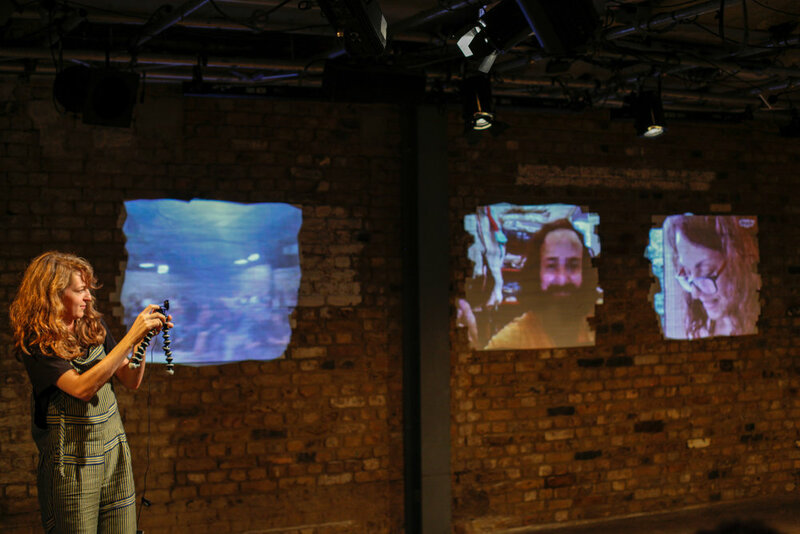 In keeping with that original aim –to create a new kind of performance that reflected the realities of this new kind of world– each performance has changed as the situation has changed. 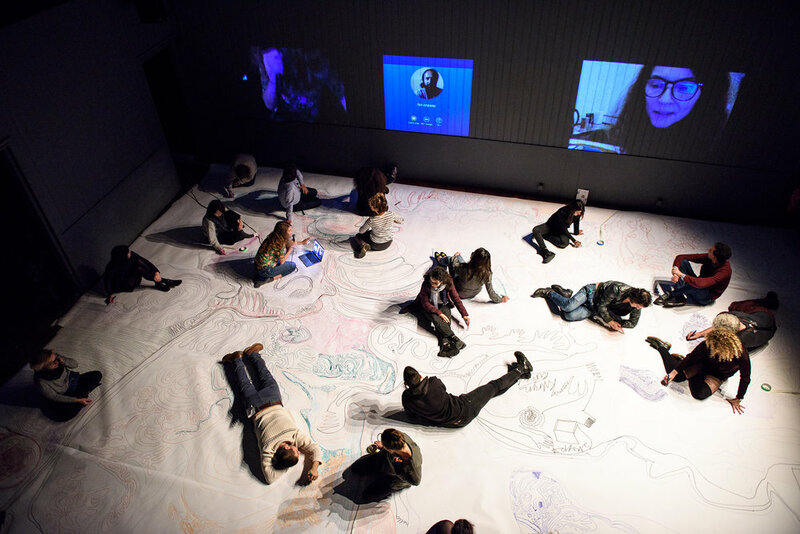 Performance(s) Between Two Shores is supported by the European Commission. 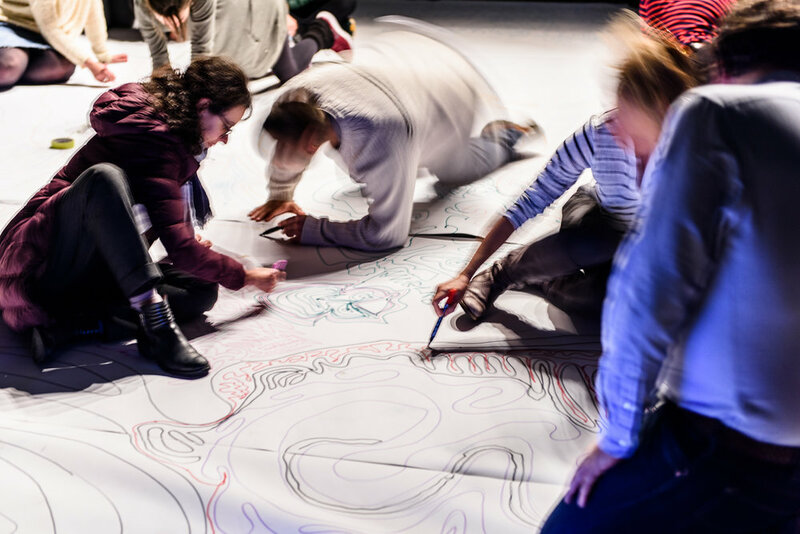 In partnership with: Les Bancs Publics – Festival Les Rencontres à l’échelle (FR), BOZAR (BE), Dancing on the edge (NL), Globalize: Cologne platform for dance & theater (DE), SEE Foundation (SE) – D-CAF Festival (EG).